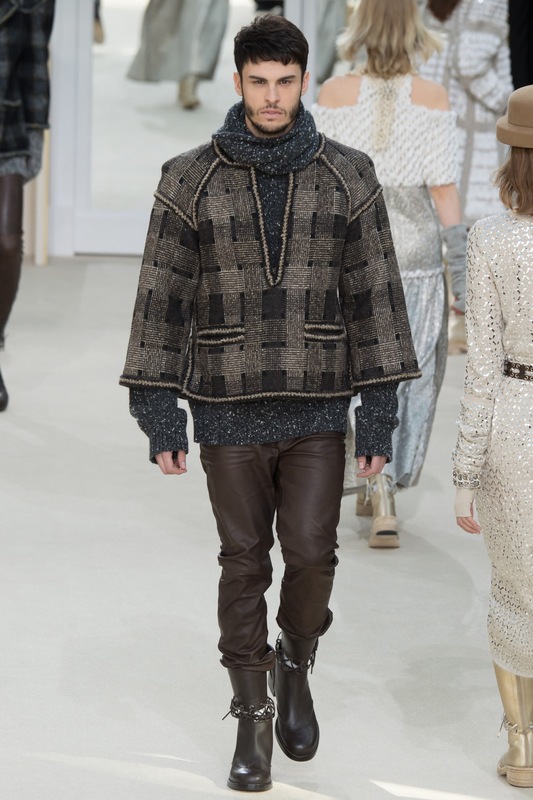 The FW 2016 Chanel ready-to-wear collection reaffirmed that knits are an indispensable part of every cool-weather wardrobe, offering luxe texture to stalwart, utilitarian layers in an au courant palette of strong pinks alongside timeless neutrals. Tubular scarves with tipped, ribbed edges and gleaming metallic grommets recalled pullover sleeves, while abbreviated ponchos skimmed over shoulders in a modern poncho silhouette (get the look with our Air Chunky Eyelet Ponchette designed by Vanessa Putt). Crochet defined the edges of marled cardigans, knitted incarnations of the classic Chanel jacket cut from richly woven tweed. 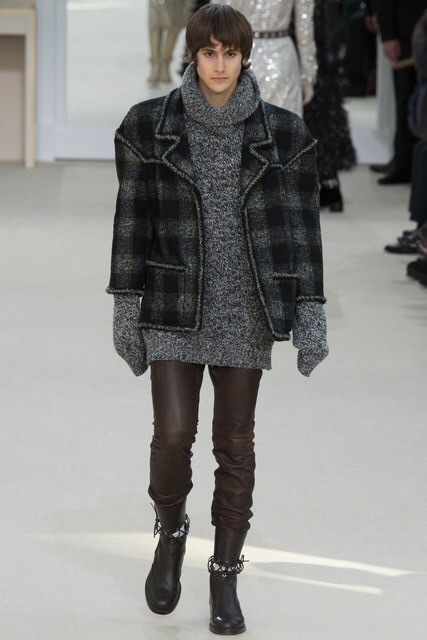 Turtlenecks remain a practical shortcut to face-framing drama and warmth, while bold jewelry elevates elbow-length fingerless gloves, layered for a bit of sparkle at the wrist. 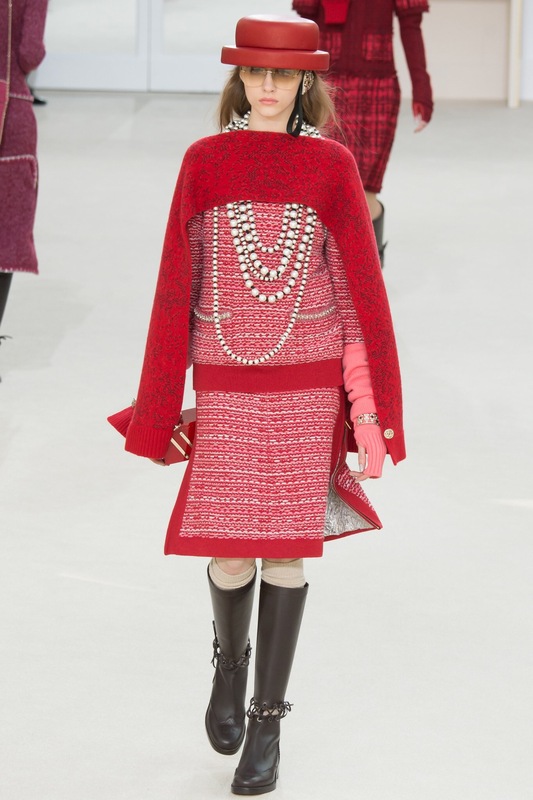 Which Chanel trend is your favorite? Previous PostUnraveled RodarteNext PostZealana in Italia! Two new Zealana pattern books dropping this week! Jacqueline van Dillen on Two new Zealana pattern books dropping this week!